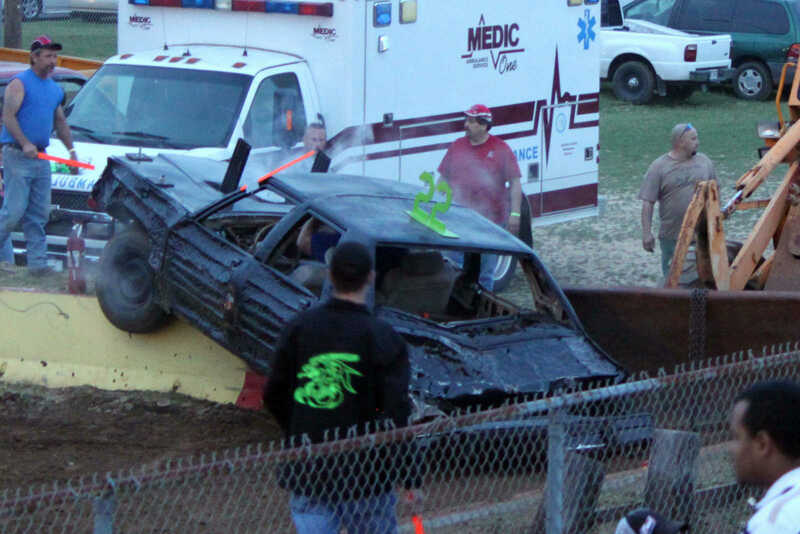 Richard Wrather's car on top of a concrete barrier. 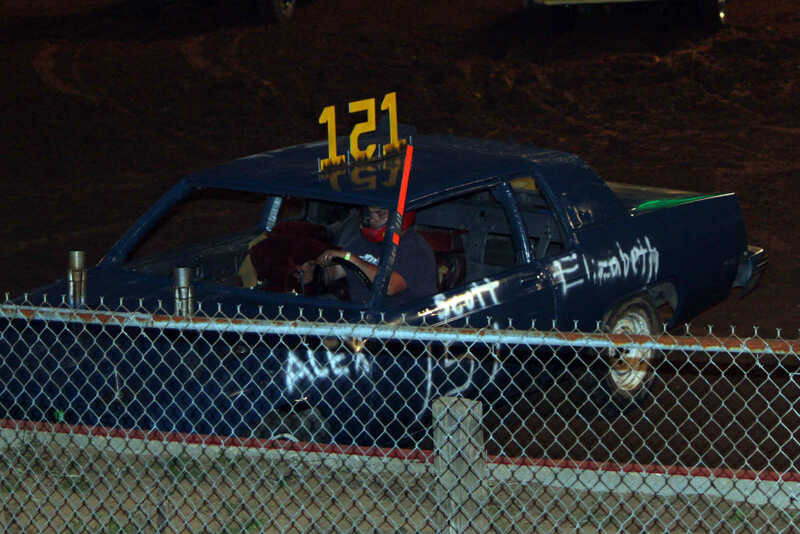 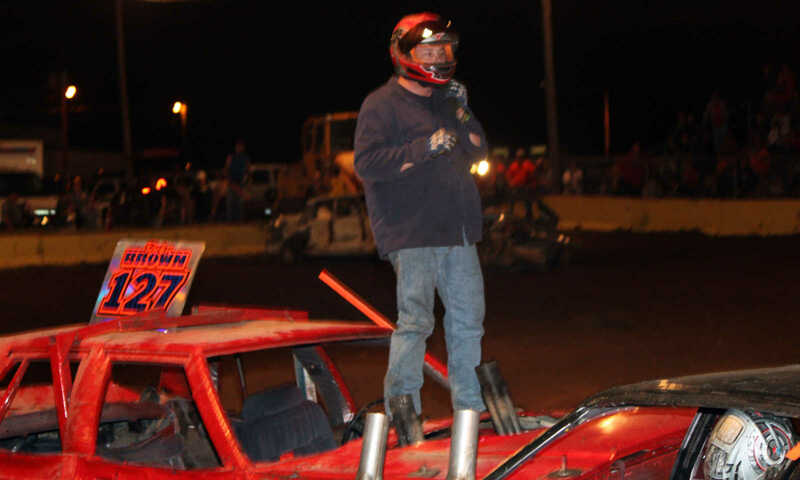 Ricky Brown stands on top of his #127 car shortly after winning the modified demolition derby at Kennett Saturday. 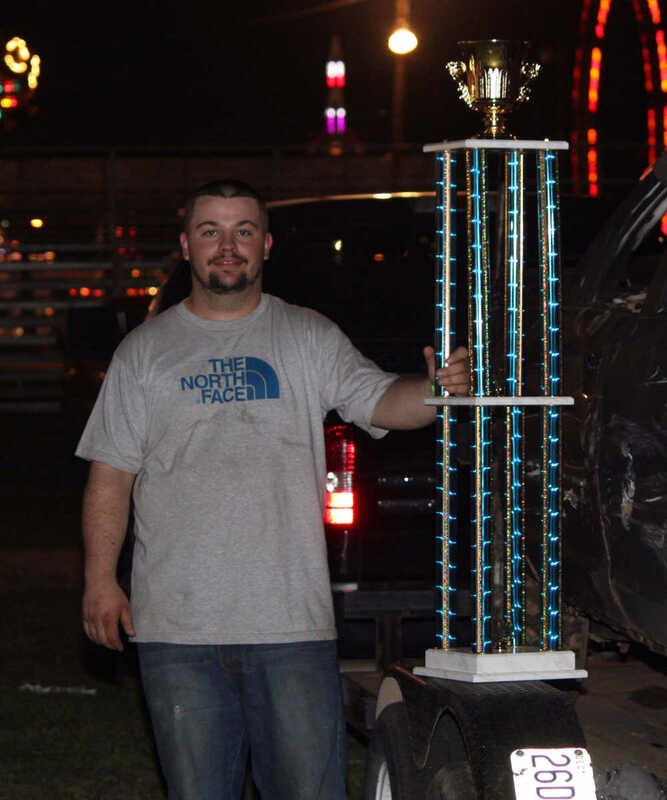 Josh Hamlett with his first-place trophy following the completion of the derby. 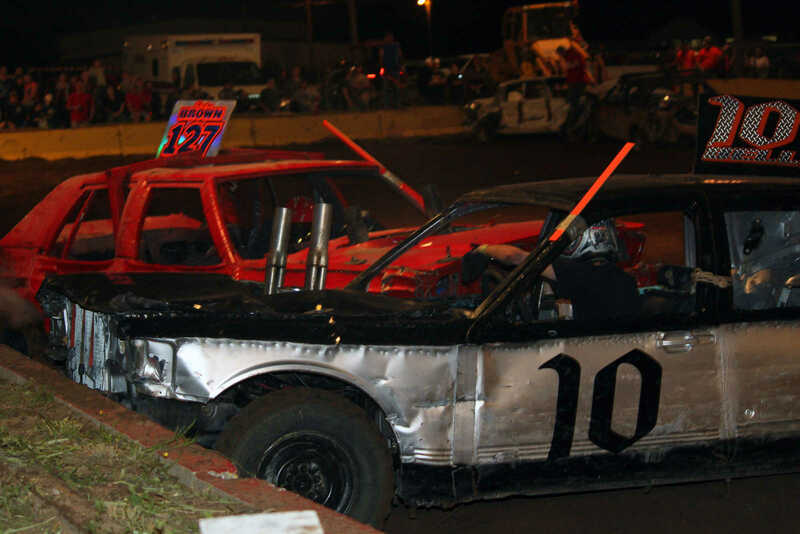 Hamlett won $1,200 at the derby Saturday evening. 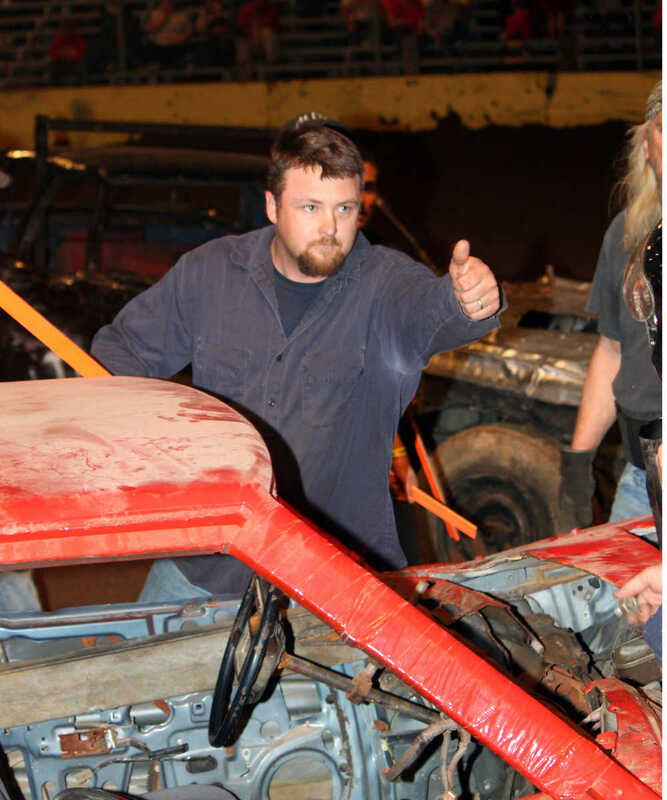 Ricky Brown gives the thumbs up to the crowd following his victory at the demolition derby in Kennett Saturday. 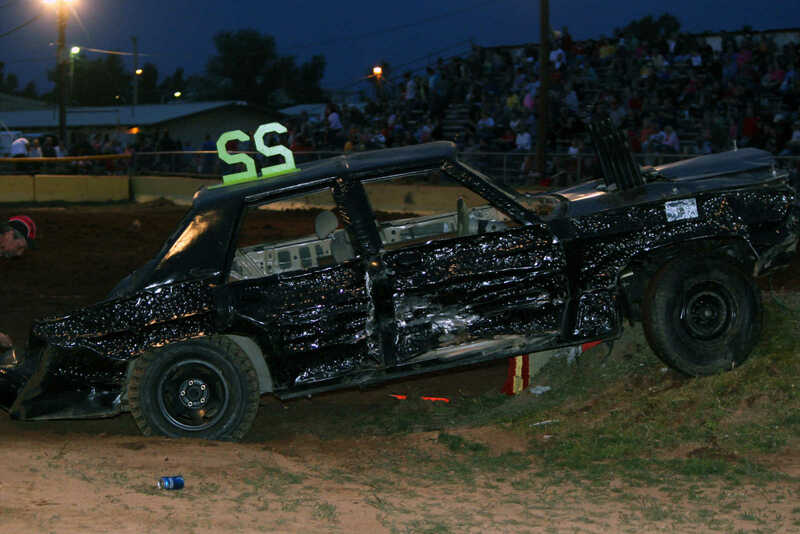 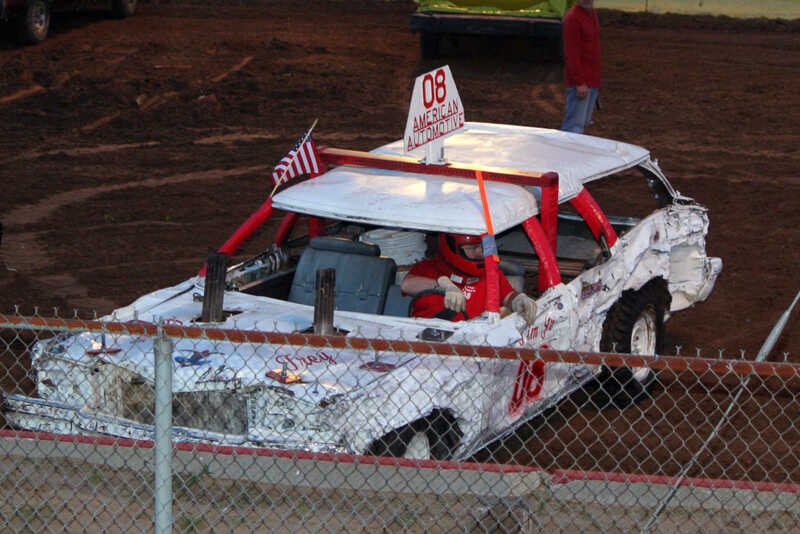 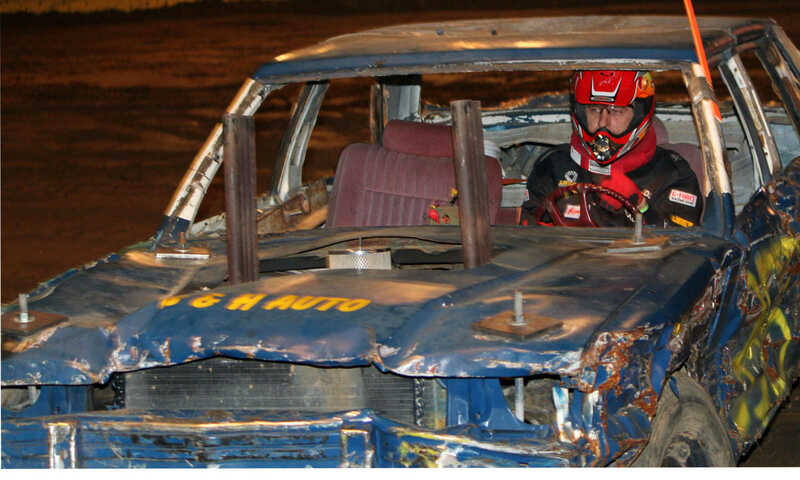 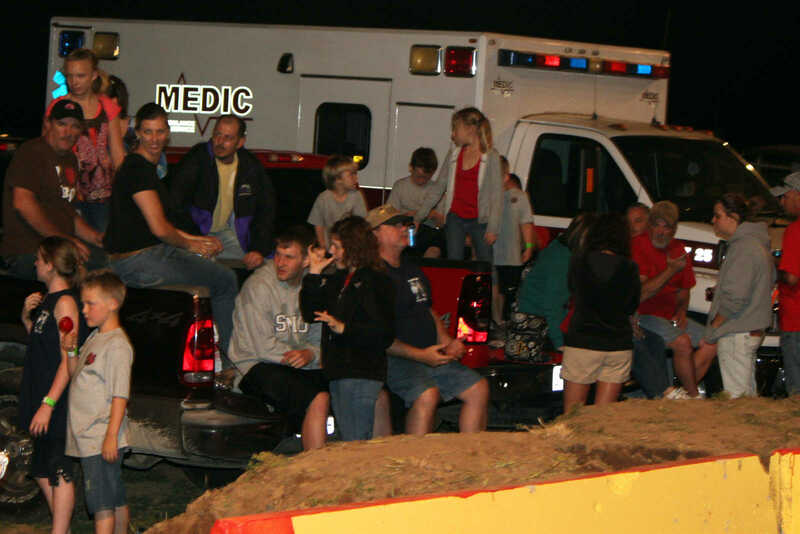 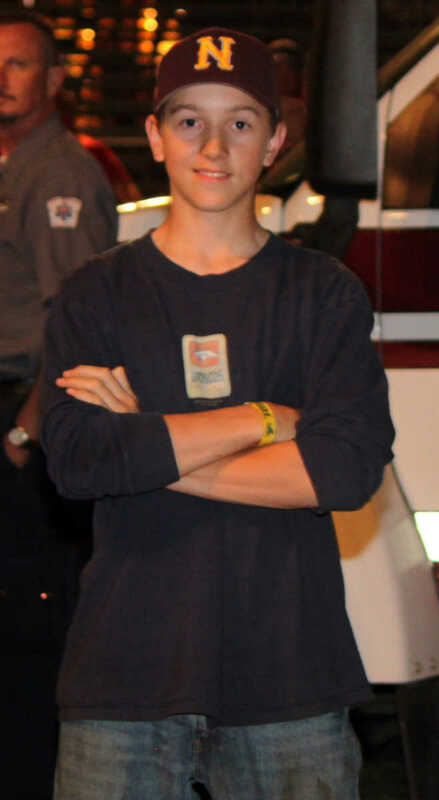 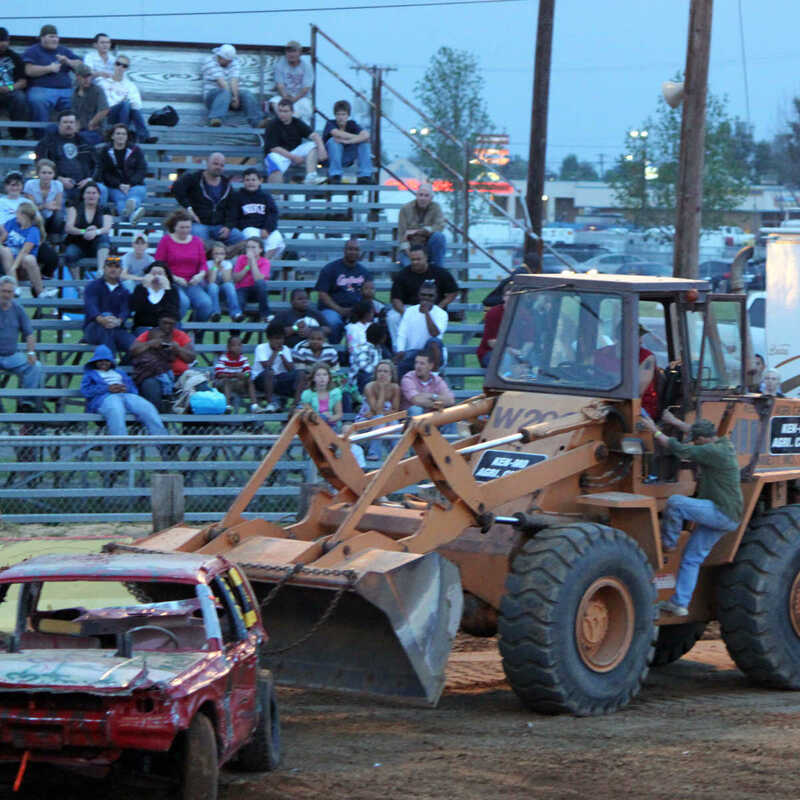 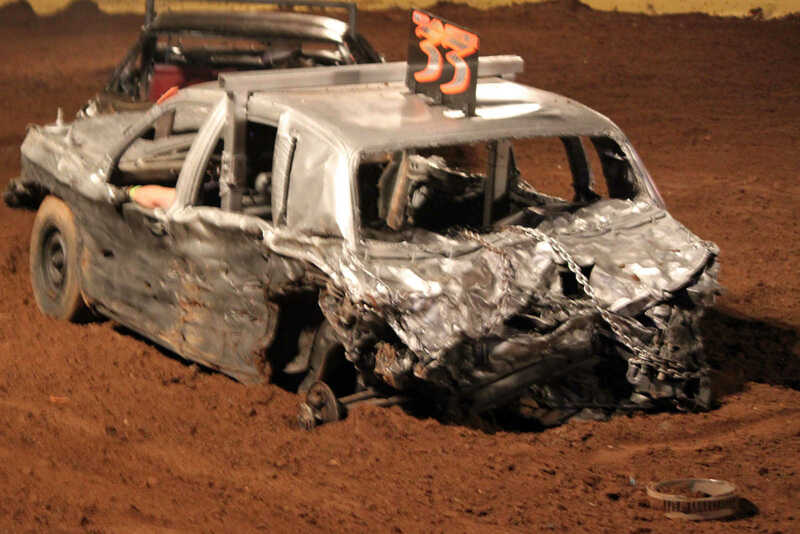 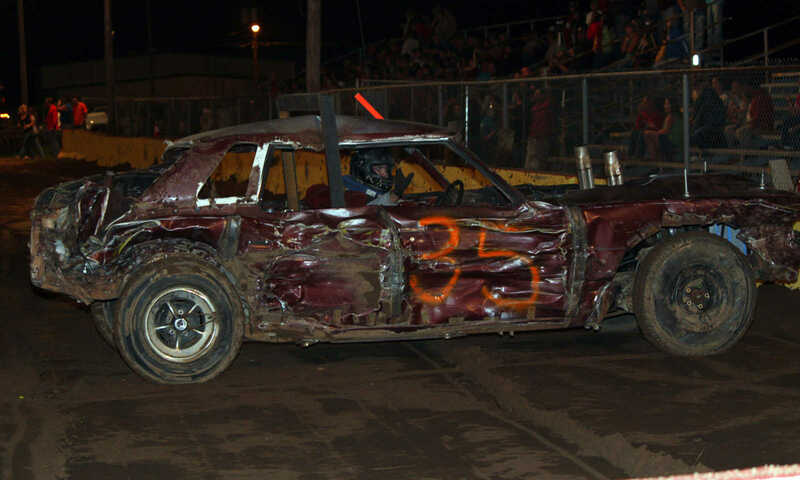 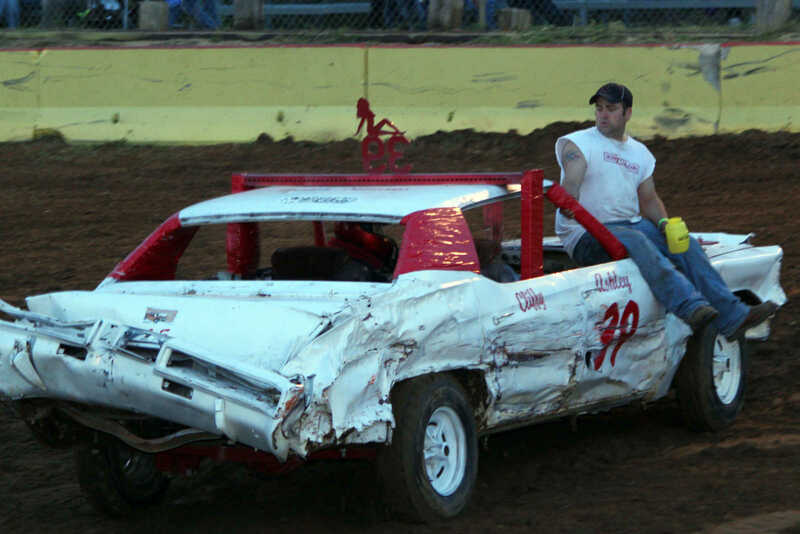 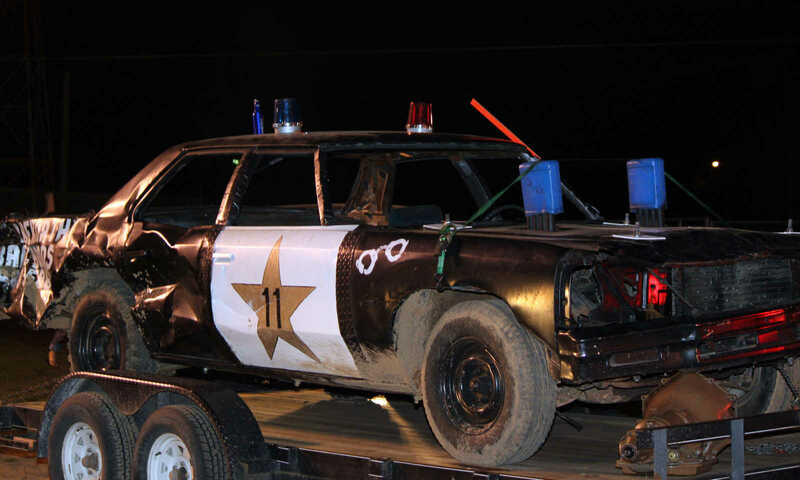 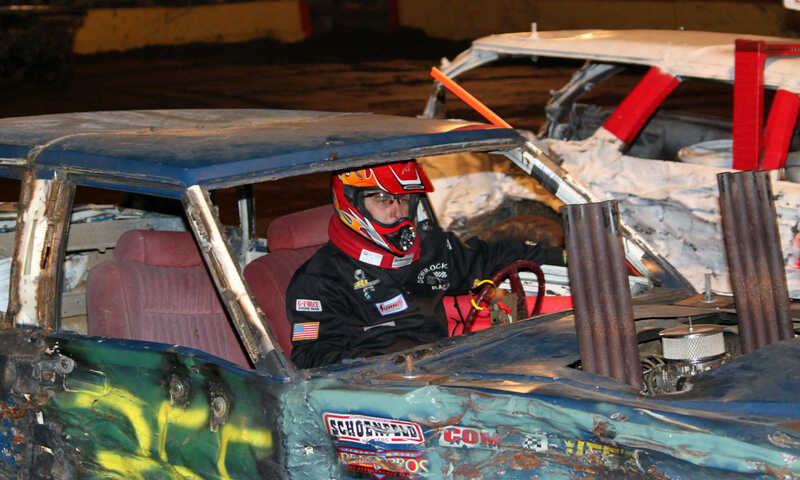 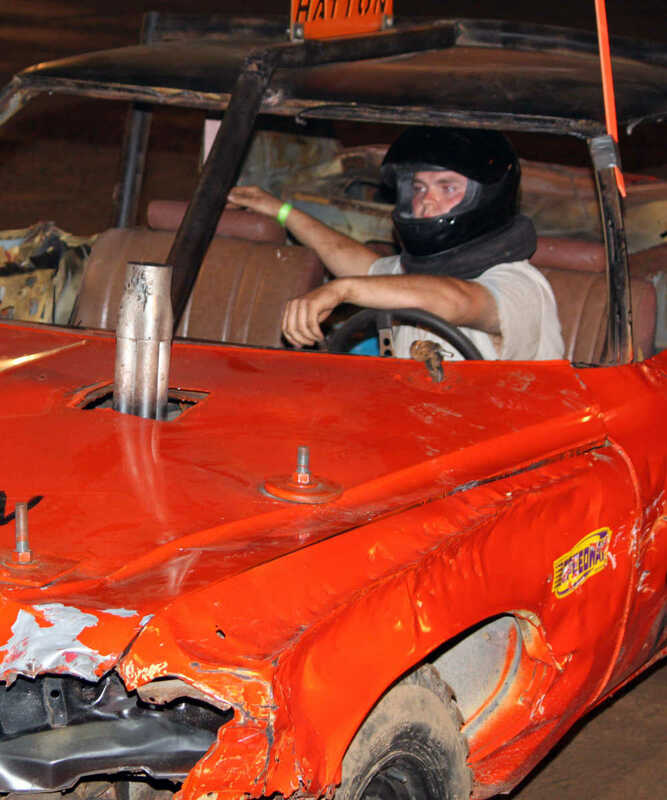 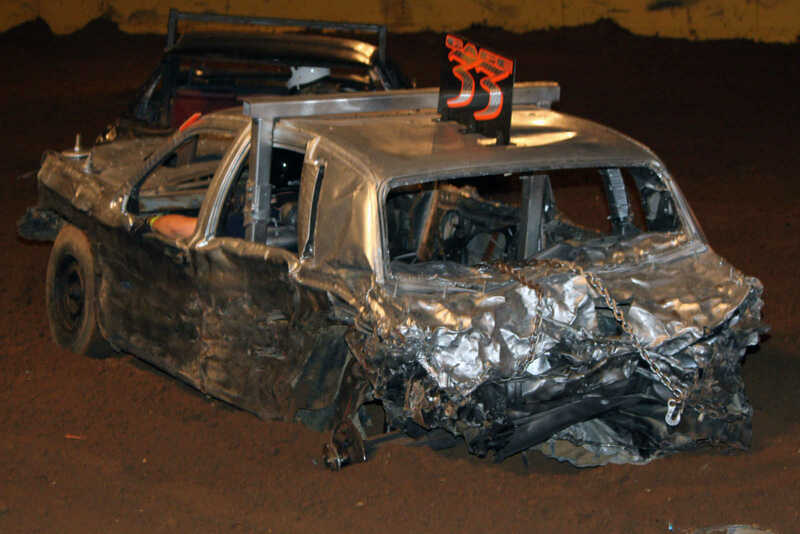 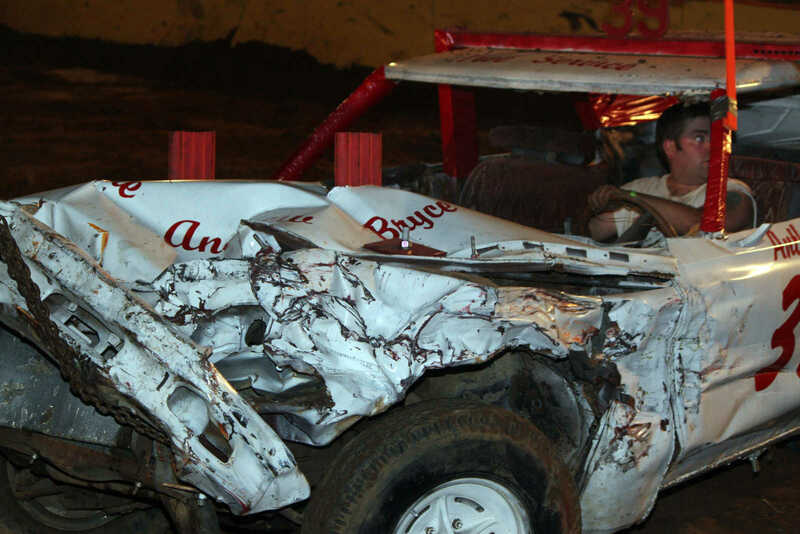 Cole Washburn poses for a picture after completing his first demolition derby. 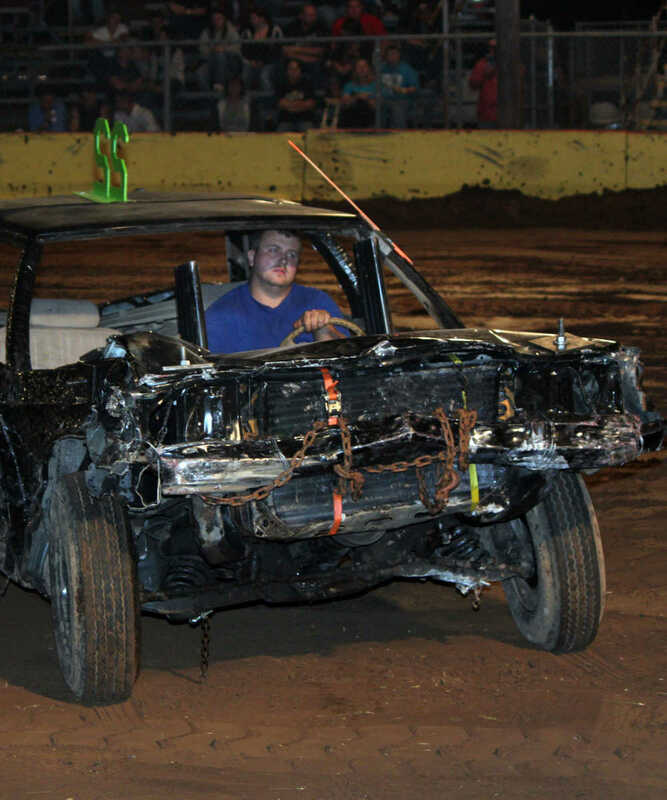 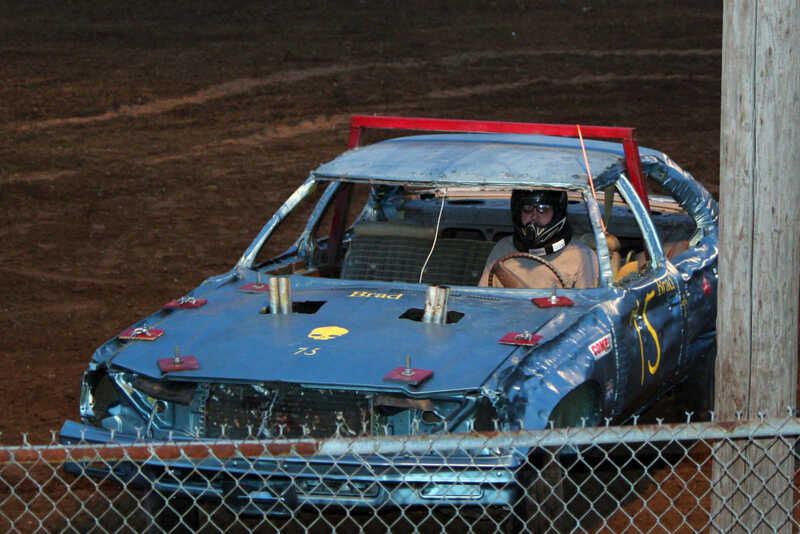 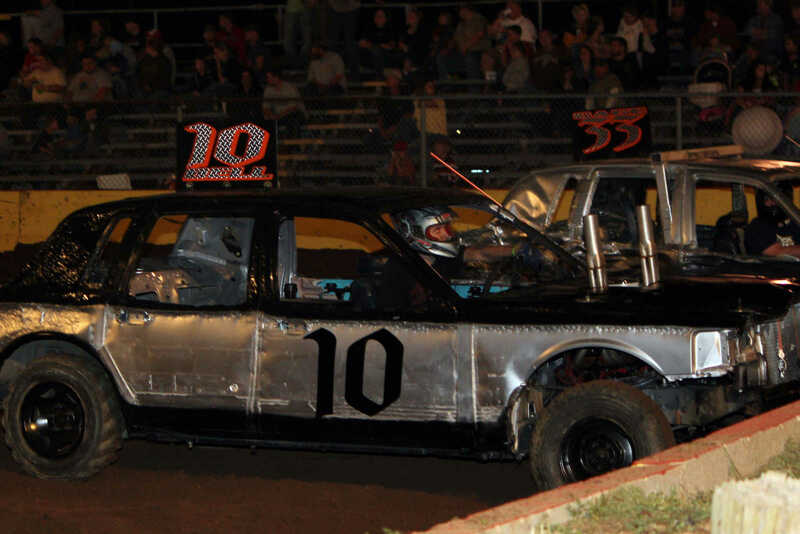 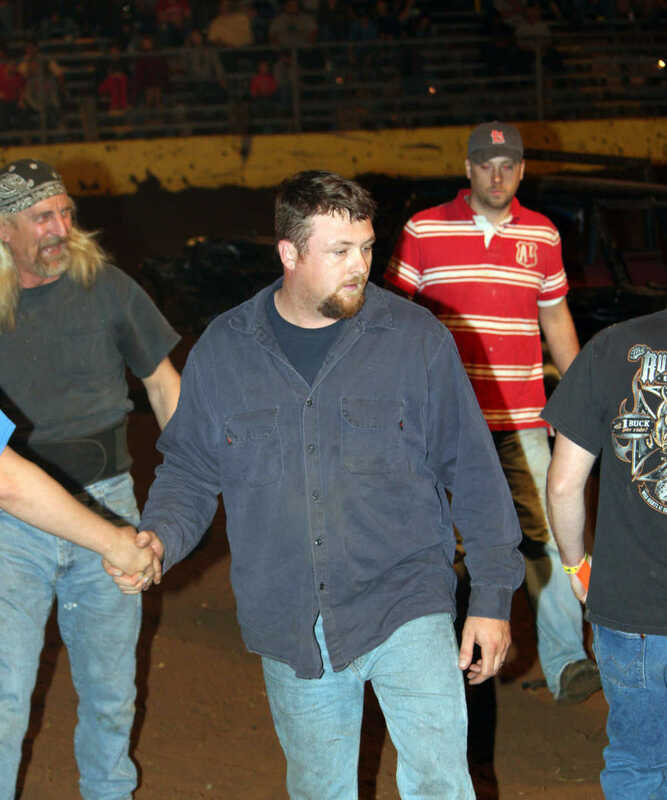 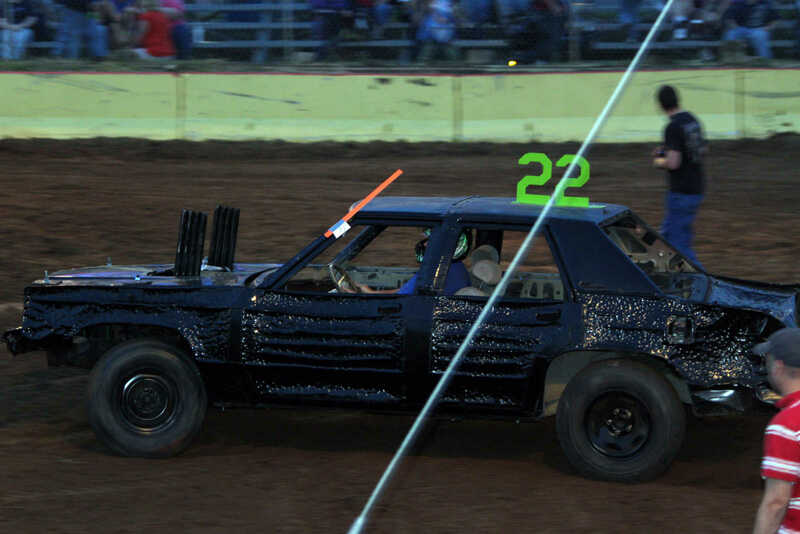 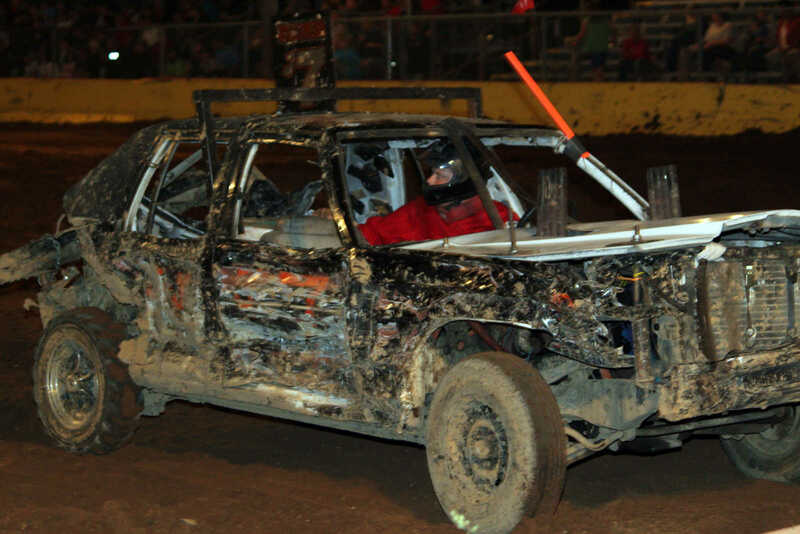 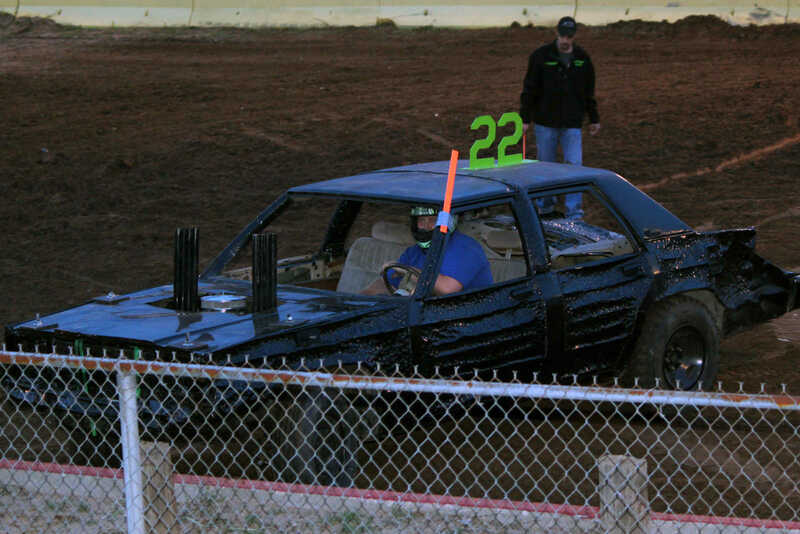 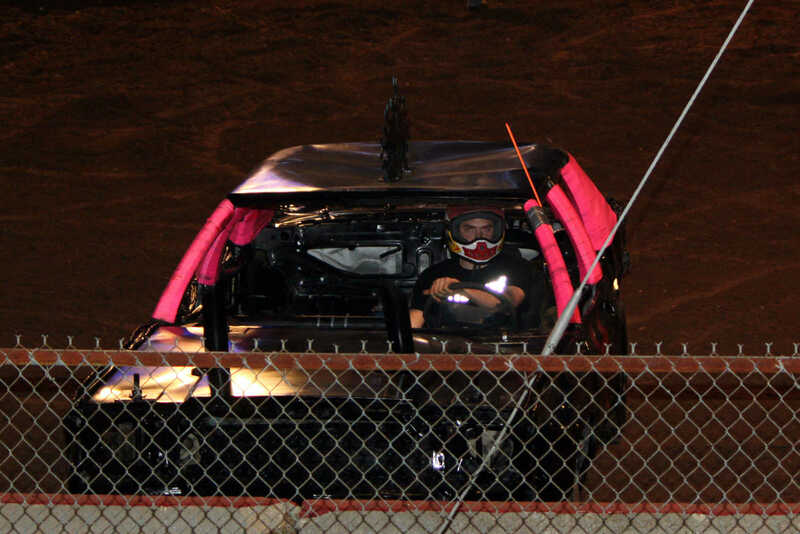 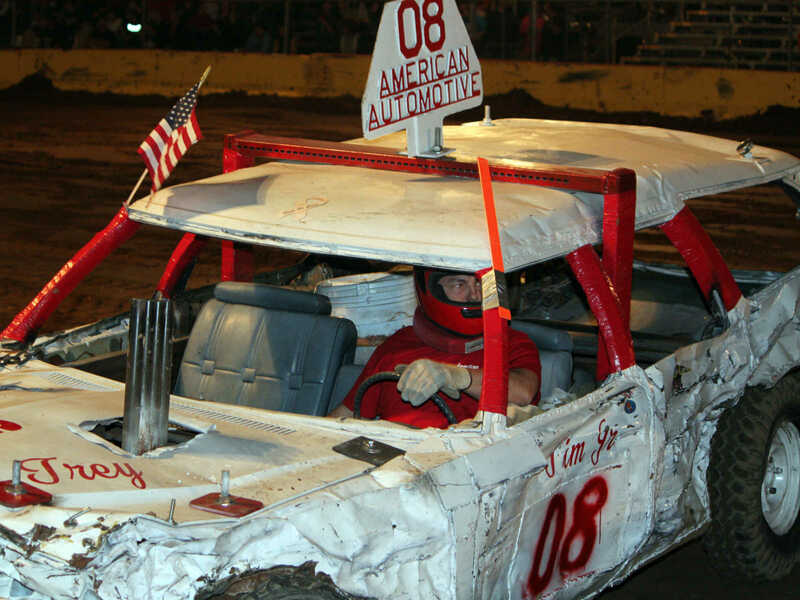 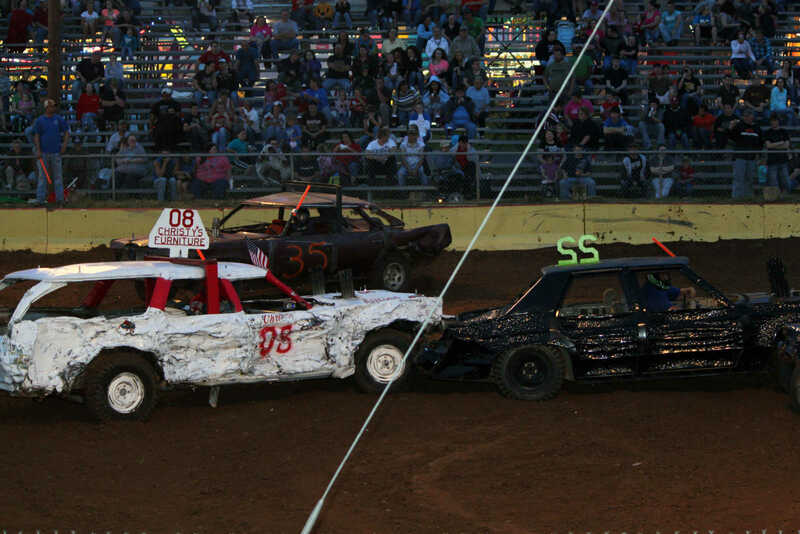 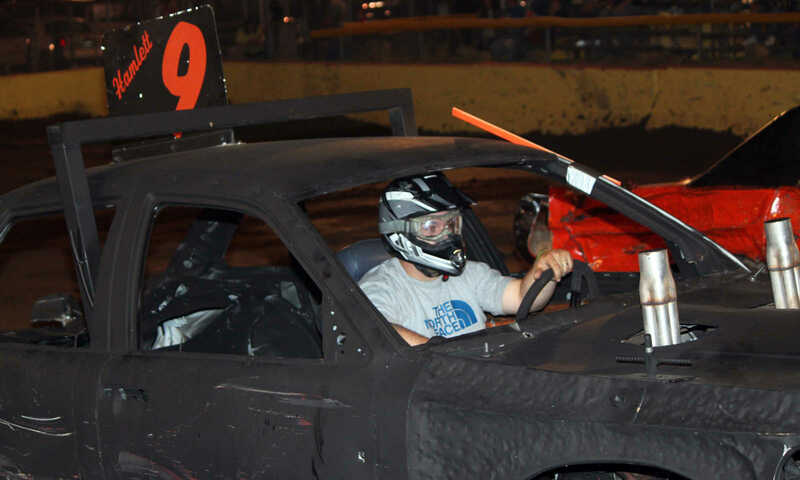 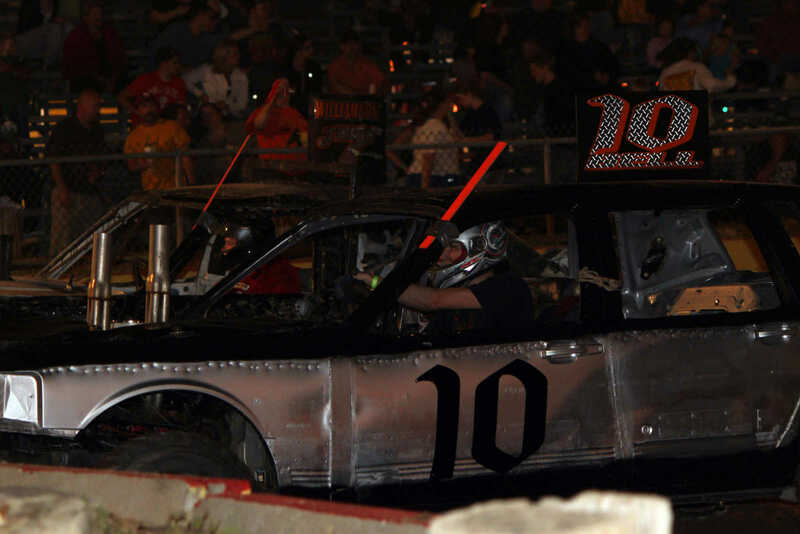 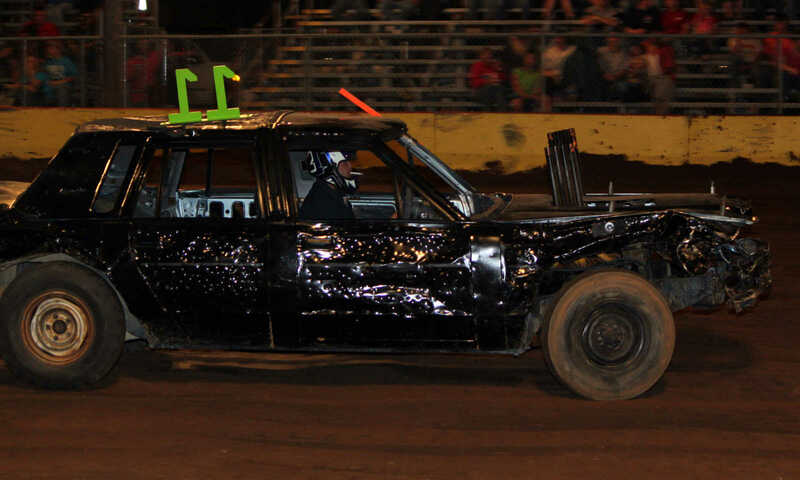 Ricky Brown on the track following his victory in the demolition derby. 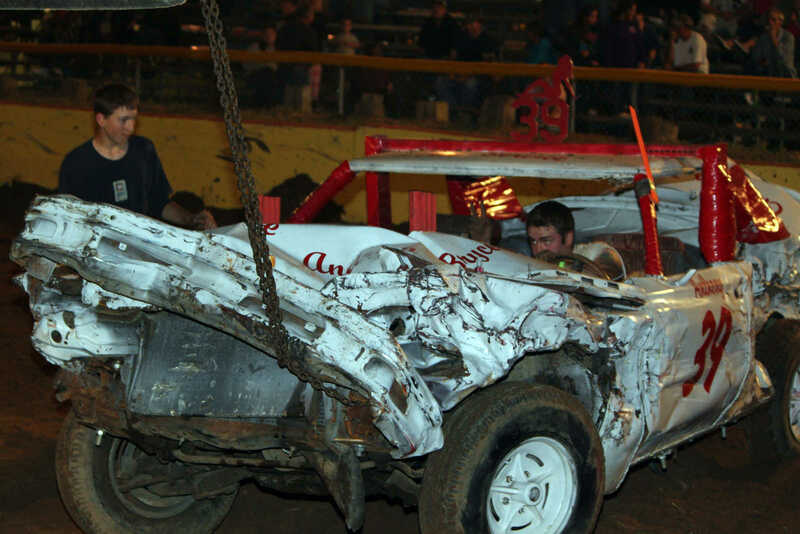 Derby workers begin to attempt to remove Richard Wrather's car from the concrete barrier. 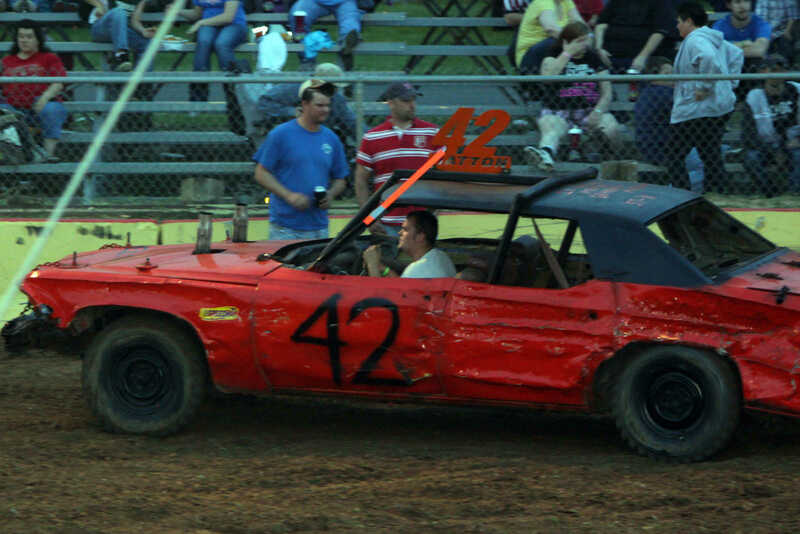 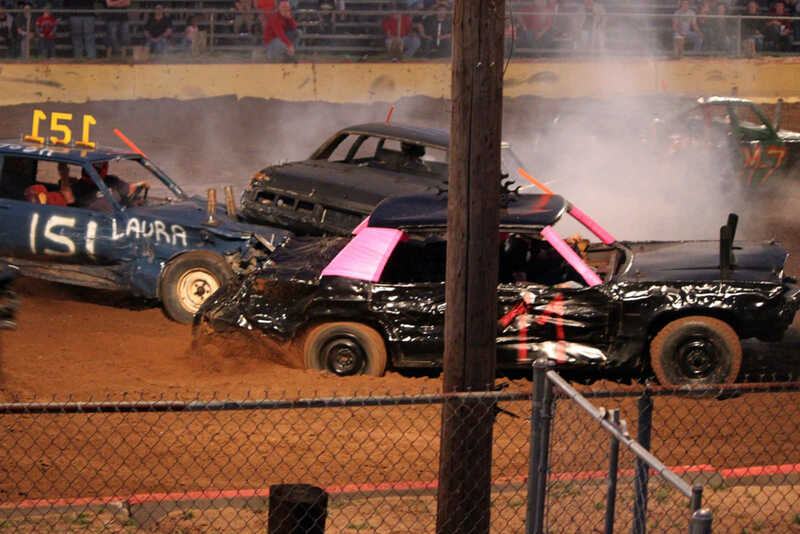 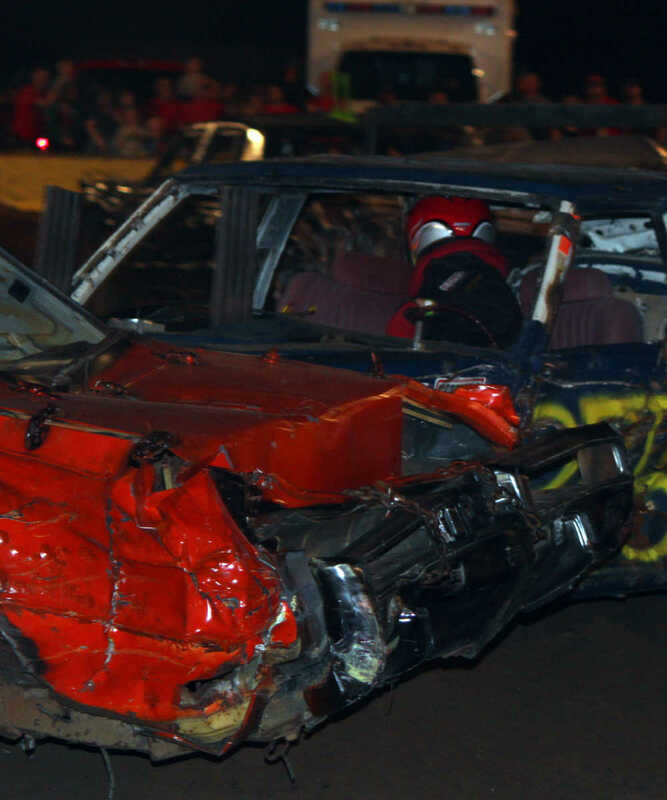 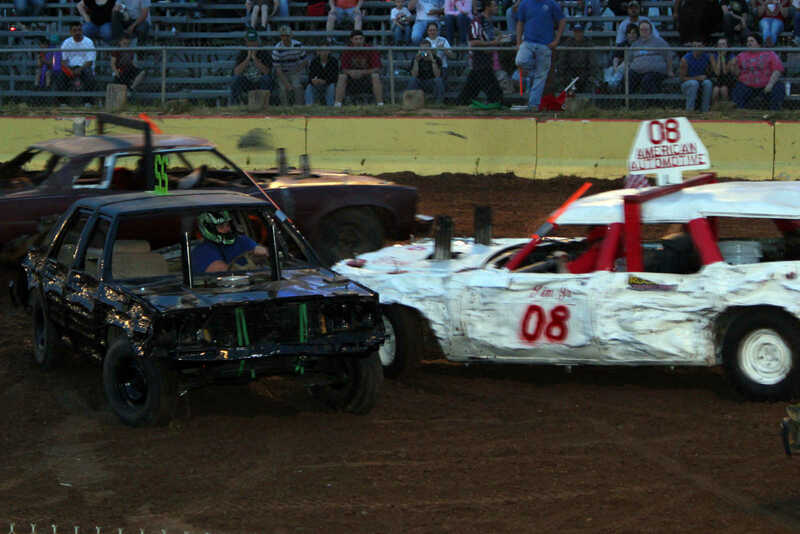 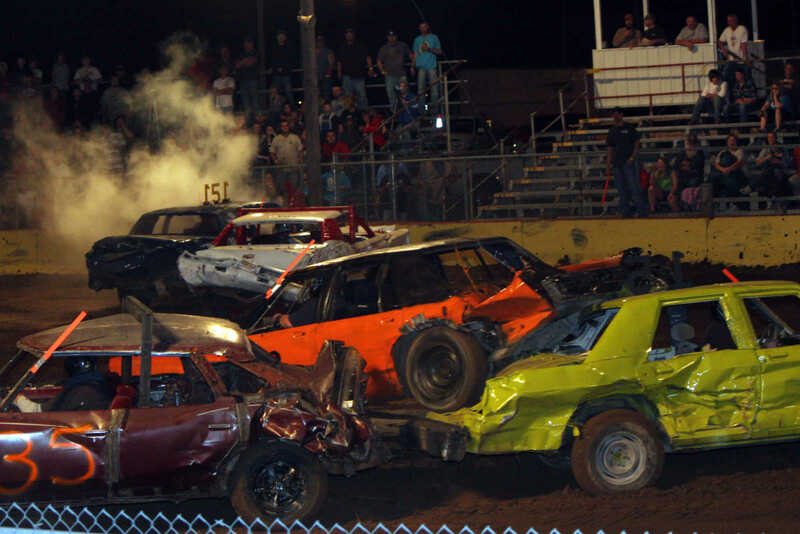 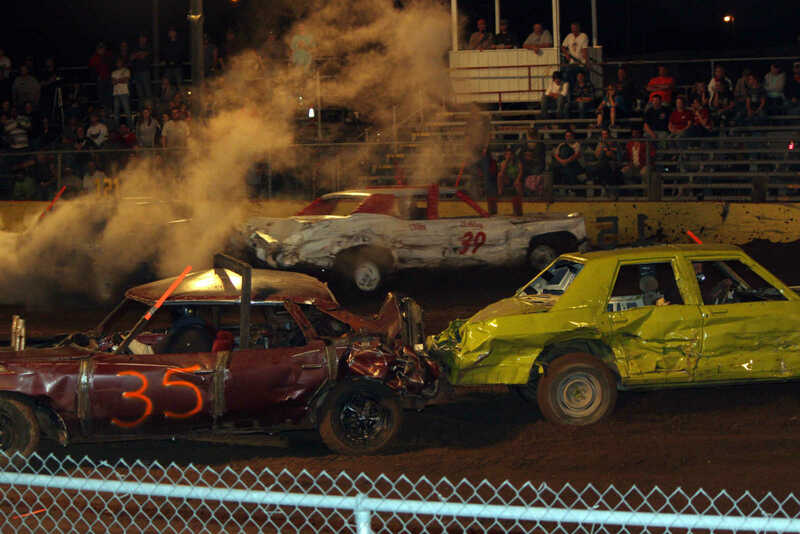 Wrather regrouped following the wreck to take home third-place in the derby. 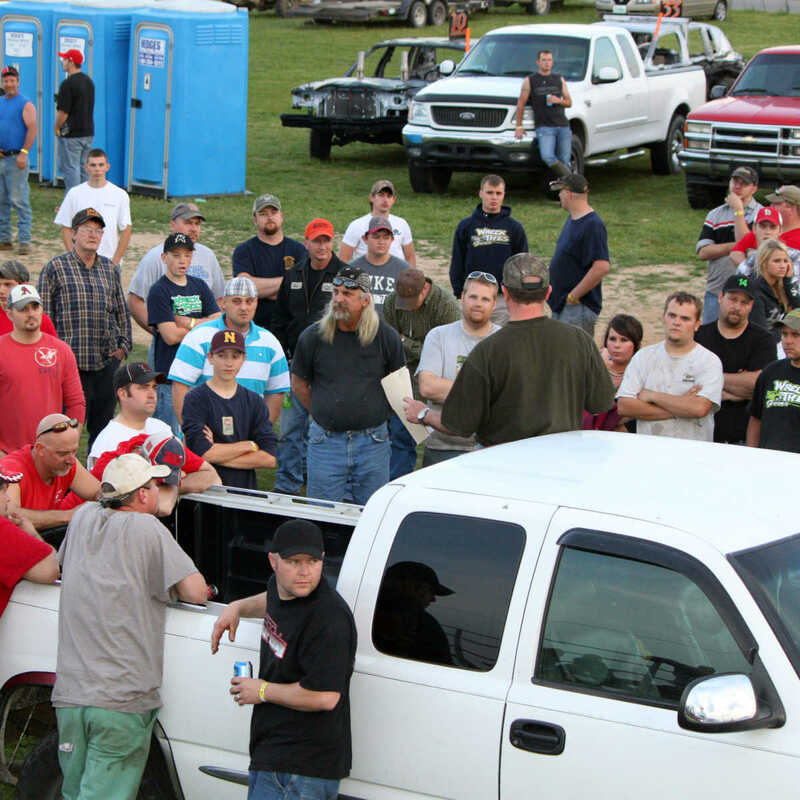 Contestants listen to the rules before the start of the derby.